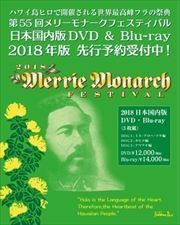 Norm Hawaii's 2002 Hawai'i Music Award winner for "Male Vocalist of the Year," with 3 mega hits under his lava lava (Hawaiian Born, Groove Witcha" and "Lovely"), is back with more of the original isalnd reggae that's kept him on the top of island music charts. 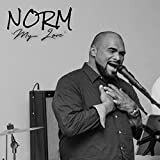 The dance floor grooves of "Stay With Me," solid roots of "We Are Hawaiian," the tribal world rhythms of "True Warrior" and the rich R&B grooves and tight harmonies of "My Love Is Gone" will have you convinced that there's nothing simple about Norm except his name. "Stay With Me" is a solid winner. "I Belong 2 U" is like an awesome kiss, a cruise in a really fine car, or dancin' til dawn under the stars. 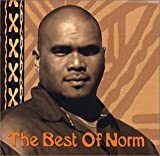 Norm's music is "feel real good music" - a splash of island, a dash of urban and a lots of reggae - shaken up Bruddah Norm style. 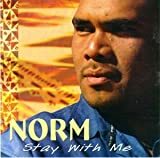 "I Belong 2 U," took the islands by storm with the blockbuster hits "Groove Witcha," and "Lonely," propelling Norm's popularity to new heights and garnering him Hawaii Music Awards for Reggae Album of the Year and Male Vocalist of the Year. 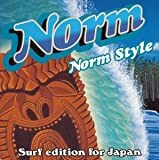 Most of the tracks are danceable and upbeat, so you can kick off your next party with "You Make Me Feel Like Dancin," "Jello," and Norm's version of the Untouchable's "What's Gone Wrong?" Head for the dance floor with your honey on "Groove Witcha" and steal her heart with "Lonely." 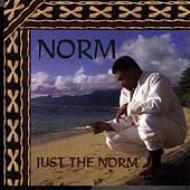 Bruddah Norm's popularity stepped up another notch with the release of "Unforgettable Dream." Hit songs "Party," and "Thinking of You," put him on the island music map as a dynamic live entertainer. 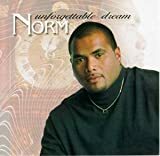 Always the writer, Norm's "Unforgettable Dreams" includes 10 originals and two of his favorite cover songs. And like our dreams, his music covers a broad base of emotion. For sweet dreams, "Sunlight," "I Wanna Love You," "I Wanna Be Your Man," "I Do Love You," and the Bar-Kay's, "Unforgettable Dream," will do the trick. 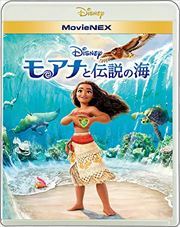 Those who prefer "good fun" dreams will love "Party," "Thinkin Of You," "Local Girls," "Feelin' Irie," and "Polynesian People." Those that can't sleep will appreciate Norm's original, "Miss My Baby." with Jevan Paisely, or Norm's take on Lionel Ritchie's, "Oh No."